From being a classically trained concert pianist, Miss America contestant, and now the Chief Religion Correspondent for the Fox News Channel, Lauren Green seems to have done it all. Yet what she cares about most of all is communicating the gospel through what she’s discovered and encouraging others to foster a deeper relationship with God. 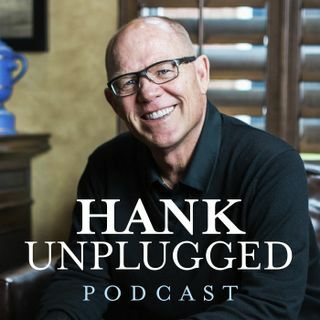 Lauren Green joins Hank on the Hank Unplugged podcast to discuss what she’s discovered, her new book Lighthouse Faith, and what’s up next. Topics ... See More discussed include: the role music plays in our world (1:30); the power of hymns to glorify God (8:00); links between mathematics and music (11:30); the significance of overtones (17:30); why did Green make music a key aspect of Lighthouse Faith? (23:45); Green’s role as chief religion correspondent for Fox News (29:25); why does the media tend to be hostile toward Christianity? (33:00); the absurdity of atheist clergy Sweden and other European issues (38:00); spiritual brokenness bringing us closer to God (43:00); The Great Commission to spread the gospel (52:30); a moment of renewal in Ethiopia (58:30); how sickness and suffering can bring us closer to God (1:02:30); aesthetic practices such as Lent and the importance of developing disciplines (1:12:00); lessons learned from the vineyard (1:20:00); and finding union with God through worship (1:24:00).